Platanias beach is a lovely huge beach along which stand many hotels of all categories and the entire usual tourist infrastructure. Platanias beach is the main beach of the homonymous seaside tourist resort of Crete, a settlement located 11 kilometers west of the city of Chania. 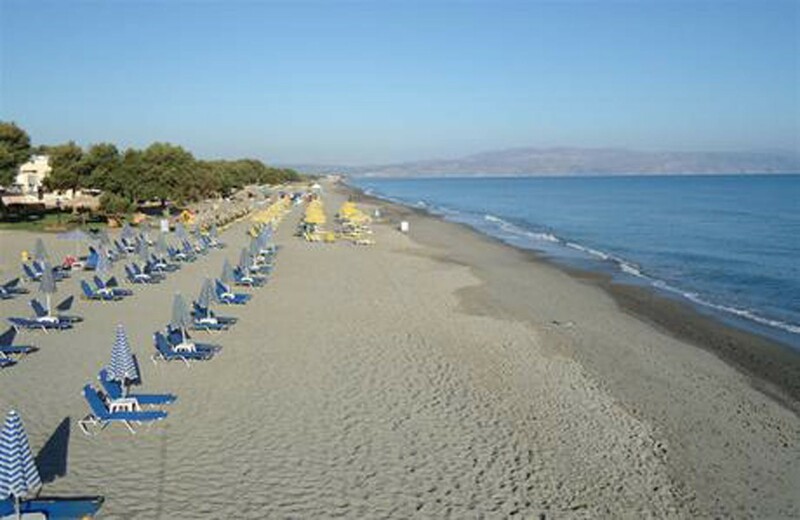 The area around the beach of Platanias has been developed so much that it is practically a suburb of Chania. The village is built on a hillside with a fantastic view of the sea. On summer evenings, the big clubs in the area are full of people until dawn. 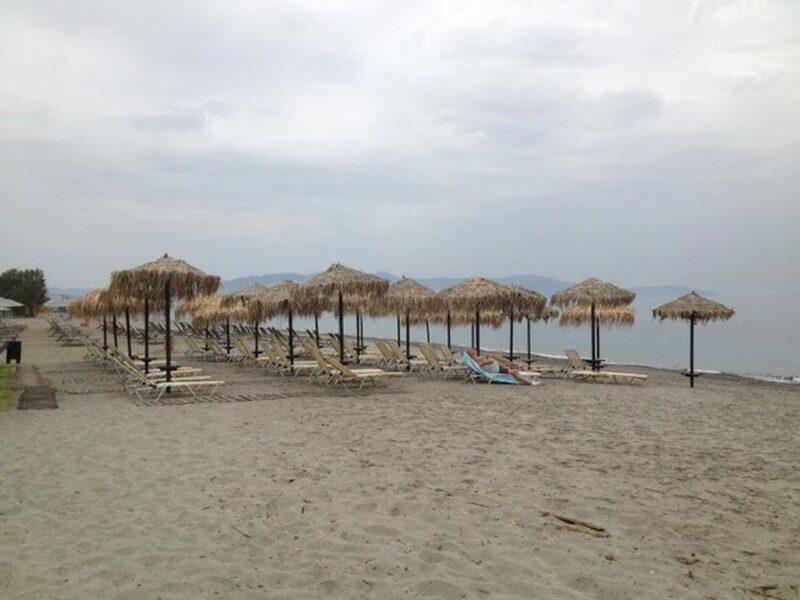 Platanias beach covers all tastes and nobody leaves unsatisfied. Umbrellas, sun beds, showers, water sports and bars for all tastes will keep you there for as long as you can stand! The water is crystal clear despite the fact that the beach is crowded and the sand is golden. It is worth staying up at night to see the moon rising from the sea. 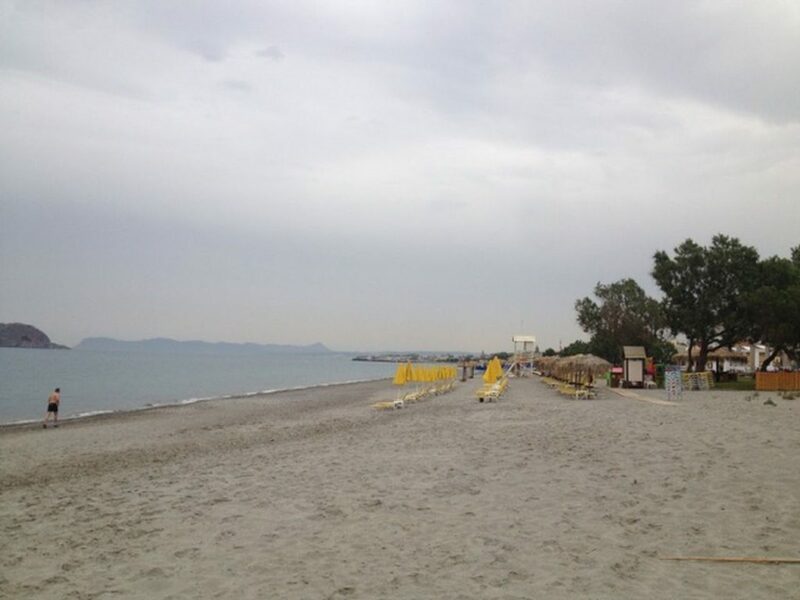 On days that wind blows, you can enjoy swimming east of Platanias beach, next to Agia Marina. There are artificial small bays which provide more protection from the waves.